Take a Magnetic Business Card Magnet, add a schedule and you have a Sport Schedule Magna-Card. 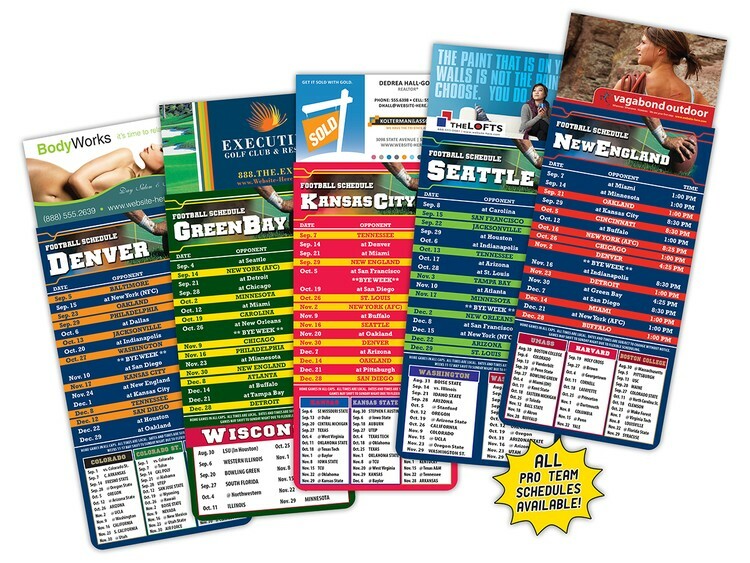 Promote yourself while showing your team spirit and keep your business information in front of your customers on a daily basis with Magna-Card Sport Schedules. Use for an instant imprinted gift item for trade shows and sales meetings, or use for sales calls and prospecting. Vibrant and sturdy to last all season long. Comes with the team schedule of your choice on front and Night Game Schedule on back. Items must be ordered in increments of 100.